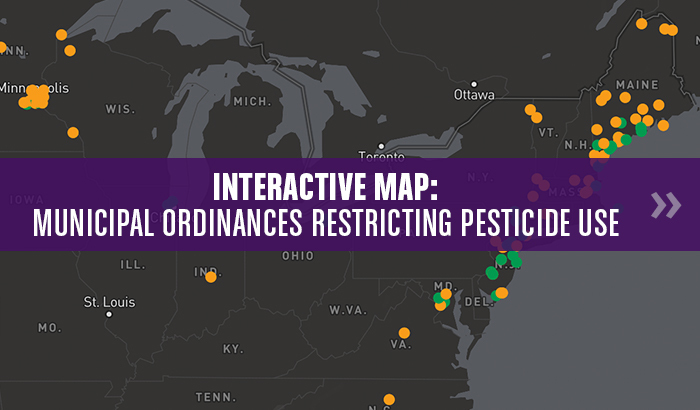 Cities across the nation are fighting a provision in the House of Representatives’ version of the federal farm bill that would block cities, counties and school districts from restricting the use of toxic pesticides on playgrounds and parks. A four-page provision tucked away in the 748-page farm bill passed by the House would preempt local governments’ adoption of their own pesticide regulations. That would include ordinances that prohibit the use of glyphosate – the active ingredient in Monsanto’s Roundup weed killer – in parks and playgrounds. The Senate farm bill does not include a similar provision. Congressional leaders are trying to finalize the farm bill for a vote this month. In recent weeks, cities across the U.S. have raised their voices in opposition to Section 9101 of the House-passed bill. Thousands of cities represented by the National League of Cities and the League of California Cities have sent letters of opposition to congressional leaders. The National Association of Counties – representing all 3,069 U.S. counties – also weighed in against the pesticide rider. What’s more, a diverse coalition of over 170 organizations dedicated to public health urged Congress to reject the rider. The National Audubon Society and the American Academy of Pediatrics have also sent letters. Overall, 155 local ordinances that regulate the use of toxic chemicals in parks and playgrounds could be preempted by the provision in the House farm bill. The provision was included in the House farm bill by Mike Conaway, R-Tex., chair of the House Committee on Agriculture. Recent polling by a Republican firm found that three-fourths of Texas voters believe cities and counties should be able to restrict toxic pesticides on parks and playgrounds.